Product #20631 | SKU 1SKB-D0812 | 0.0 (no ratings yet) Thanks for your rating! A roto-molded D-shaped drum case with molded in feet for stability. 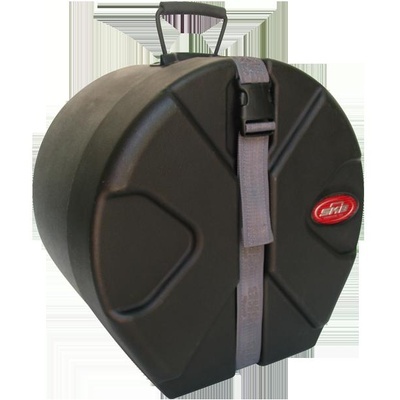 A revolutionary Roto-molded D-shaped drum case design with molded in feet for upright positioning and stability. Patented Roto-X pattern for durability and reliable stacking. Sure grip handles with a 90° stop are designed for easy lifting and transporting. Drum cases have revolutionized affordable drum protection. The entire line is truly a breakthrough in case protection for drums. With padded interiors for added protection.